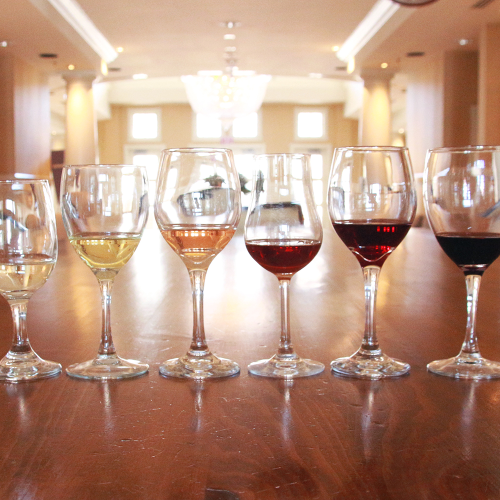 Join the Inn at Bay Harbor to experience the wines of Michigan, alongside wines of the world. Hand-selected by the Inn’s Sommelier, each tasting table offers themed wine tastings with perfectly paired small bites. Tickets are $45 and include 13 wine tastings at four stations, food pairings, a commemorative wine glass, and live music. The Tasting Mixer will be hosted in the Inn at Bay Harbor Lobby with live music performed by the Katherine Ryan Duo. Ages 21 and up, tickets are limited. Wine on the Bay is an entire weekend of events for wine lovers over Mother's Day Weekend, May 10-12. Located on Lake Michigan’s Little Traverse Bay, in the heart of Michigan’s wine country along the Bay View Wine Trail, Wine on the Bay features tasting events, special dining menus, Sparkle at The Spa, wine touring, and is capped off with Mother’s Day Brunch in The Sagamore Room. © 2019 MyNorthTickets. All rights reserved.